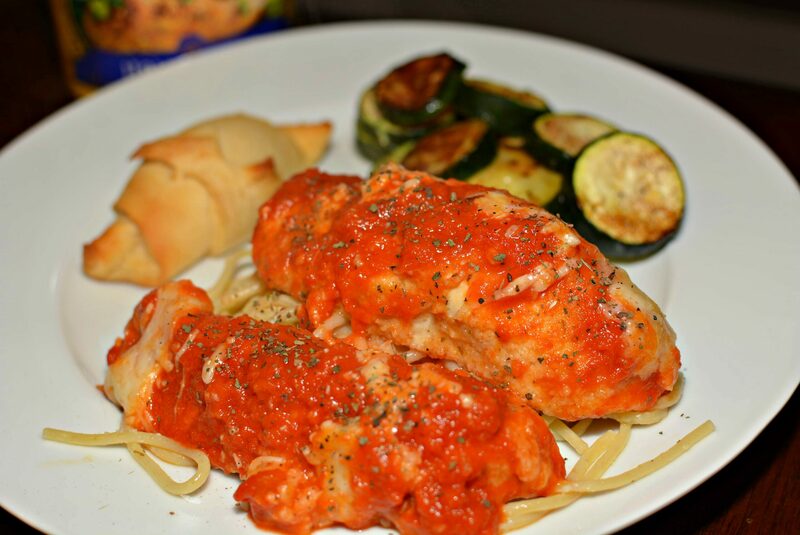 Baked Chicken Parmesan, everything you love about Chicken Parmesan without all the guilt! One of my favorite entrees when going out to eat is Chicken Parmesan. If I’m being honest, it’s the dish I use to judge how tasty a restaurant truly is! Every restaurant has their own spin on it and sometimes that just doesn’t work for me, hehe! Well, after going out to a few restaurants and not really being too impressed, I decided to try my hand at making a baked, at home version that would hopefully be just as delicious. After a few attempts, tweaks, fails, and more….I finally have perfected the dish and can satisfy my craving at home! One of the biggest tips I can give about this recipe is which bread crumbs to use. 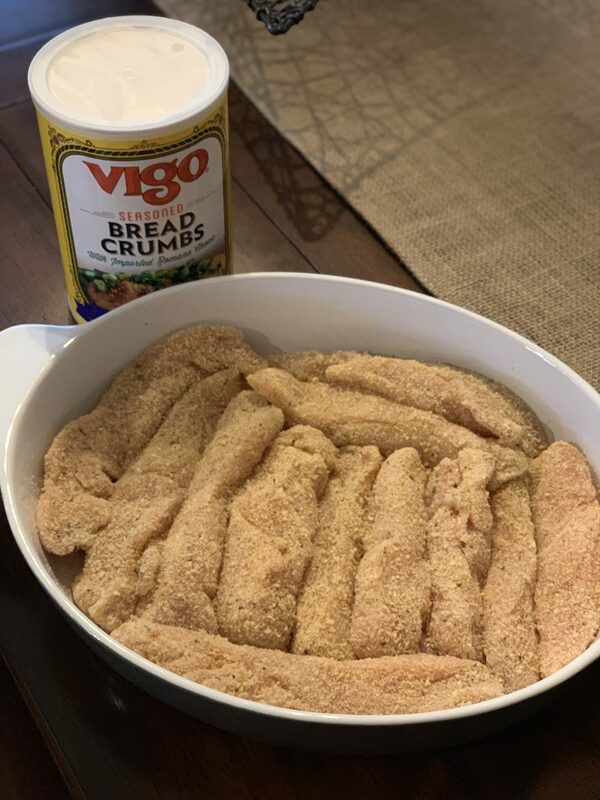 You may think that all bread crumbs are alike, it doesn’t make a big difference, or want to use what you have on hand, BUT let me tell you, ever since trying Vigo Italian Style Seasoned Bread Crumbs, I’ll never switch again. Why? Well, did you know, Vigo Italian Style Bread Crumbs are the only ones made with imported Pecorino Romano Cheese? Their bread crumbs are made in their facility with bread picked up from commercial area bakeries! Even their spice blends are made in facility and their bread crumbs include 11 different spices. When you try their product, you know they put a lot of time and effort into perfecting their process/ingredients and its a great addition to any meal! Vigo has an extensive product line and you can find their products at Publix or any other fine retailer. A few other Vigo products that my family enjoys are their rice varieties. The Vigo Red Beans & Rice is incredibly flavorful and pairs perfectly with smoked sausage. The Vigo Mexican Rice is yellow rice and corn with a taco like taste just like restaurant/authentic quality! The Vigo Cilantro Lime Rice is made with real lime and is a favorite when we make seafood dishes. They even have Vigo Black Beans and Rice that we make with our Cuban dishes. Their rice dishes are completely seasoned and easy to prepare. They are even low in fat and high in taste!! All in all, I highly recommend Vigo because their product line proves that they take the time to perfect everything before letting it go on the shelves of stores. Check out their website here, Vigo Foods. You can also Shop Vigo’s Online Store. Click the links below to check out more information about each product!! 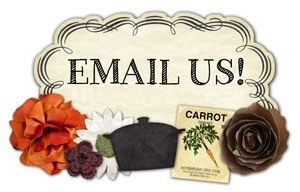 Vigo wants to give one of YOU the opportunity to receive a complimentary gift box from them! In order to enter the giveaway, comment below on which Vigo product combination would make your next dinner easily fancy if given the opportunity! Winner will be randomly selected. See official rules for details. Preheat oven to 425 degrees and grease a 9 x 9 baking pan. If using large chicken breasts, cut into 4 oz. slices (strips). Combine the Parmesan and Vigo Italian Style Seasoned Bread Crumbs in a shallow dish. Place each chicken breast/strip into the mixture and coat each side thoroughly. Place coated chicken into prepared pan. Place pan into oven and bake for about 25 minutes, or until just about cooked through. Remove pan from oven and pour pasta sauce evenly on top. Sprinkle mozzarella on top and return pan to oven for an additional 5-10 minutes. Remove from oven and serve over cooked pasta! I am looking forward to trying the yellow rice with some pork! I would use the Italian bread crumbs in my Chicken Cordon Bleu to give it extra flavor. Served with their Jasmine rice and a fresh salad including the Marinated artichoke hearts. All their products sound amazing! 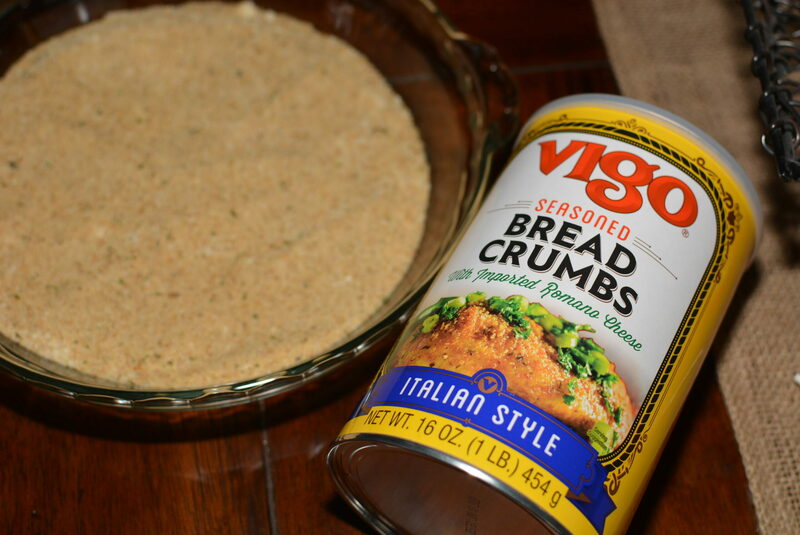 The first recipe I would try is yours shown above using the Vigo bread crumbs. Then work my way down the recipe list! 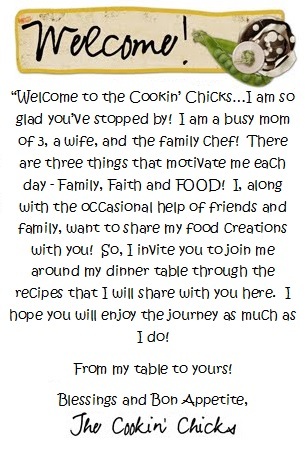 Thanks for the opportunity to try their products and for a great recipe! 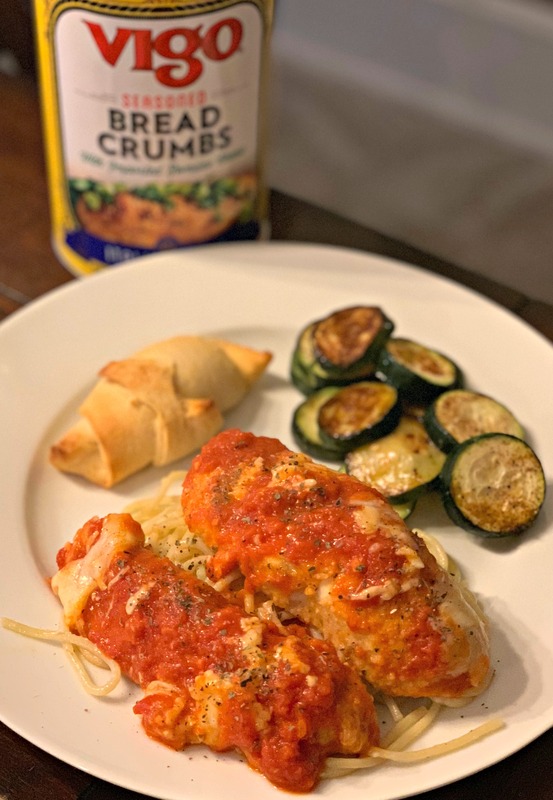 Breadcrumbs to try this chicken parm. And black beans and rice, yum. 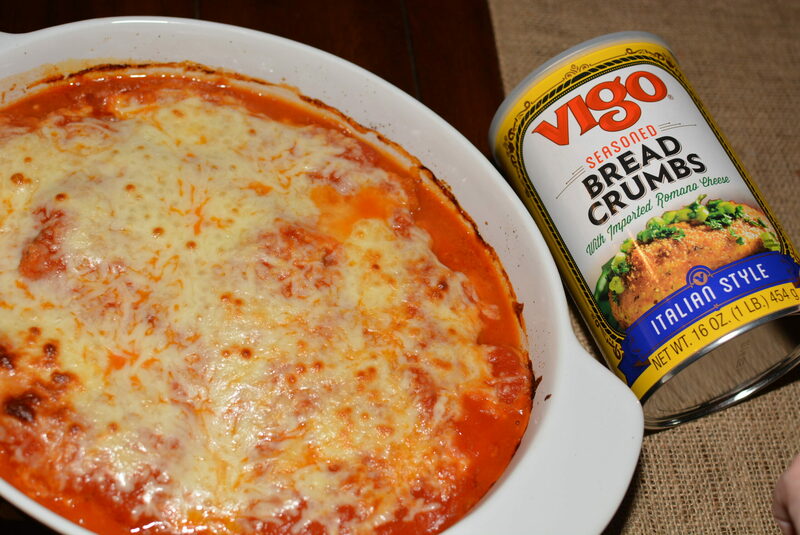 #sweepstakes I would love to try the Vigo Italian Style Seasoned Bread Crumbs in my recipe for Chicken Parmigiana. Would love to see how it would make the dish fell fancy. All the products listed would be great to try to enhance my cooking. Italian breadcrumbs for chicken parmesan! I’d make a chicken and sausage paella using Vigo’s Olive Oil, Vigo’s Safrron, Vigo’s Green Olives and Vigo’s Arborio Rice. I absolutely love shrimp. I would want to try the Vigo Cilantro Lime Rice because I think that would pair very nicely with grilled my shrimp. makes my mouth water jut thinking about it.